The Upper School Jazz Ensemble performs Natalie Cole's "Orange Colored Sky". More photos plus gallery below. Nearly 400 Bay Ridge Prep community members gathered on the evening of Thursday, October 18 to celebrate the school’s first two decades and its future. 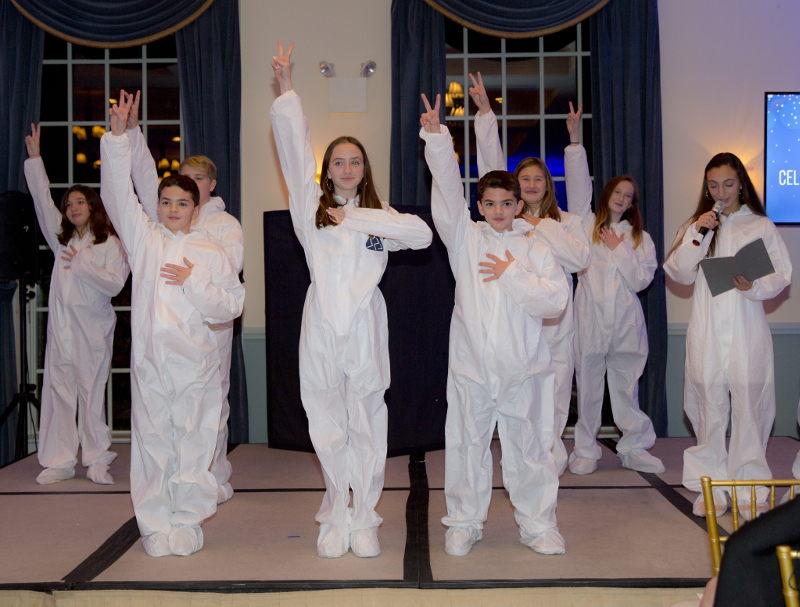 The 20th Anniversary Celebration, held at Dyker Beach Golf Course, included student performances, reflective moments from the school’s founders and displays of what students envision Bay Ridge Prep will be like in the future. 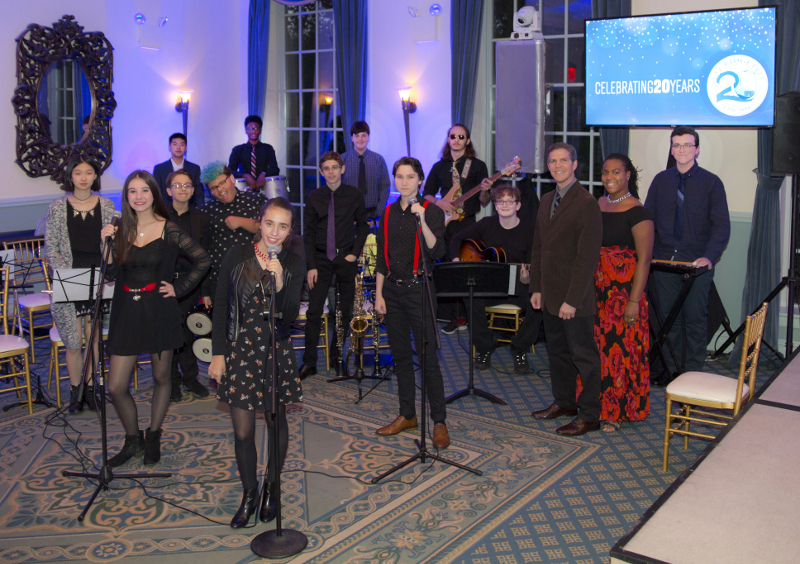 After being wowed by the Upper School Jazz Ensemble’s incredible rendition of Natalie Cole’s “Orange Colored Sky”, guests were treated to a short skit from Middle School theater students that was written specifically for the 20th Anniversary Celebration. In the witty skit, Bay Ridge Prep students of the future visited the present to tell the school community what the school is like in the future. Among the things they say future students will be able to do: clone a classmate, breathe under water, and levitate (meaning an easy win in future Tiger Trot fun runs!). According to the future students, while the progressive school will keep making progress, some things would stay in place, like the annual Egg Drop contest and having park and club time on Fridays. Middle School Students perform a skit where Bay Ridge Prep students of the future visit the present day. Reflecting on the school’s early days, co-founder and Head of School Dr. Charles Fasano remarked that he and the team that started the school in 1998 always believed in its mission but were unsure how it would all play out. Along the way, they realized others felt they were on the right path with their approach to education through several forms of public recognition. In one instance, a visiting Head of School said that Bay Ridge Prep is one of the few schools where he observed that the student experience matched exactly what the school reported it to be. In another instance, the former head of an independent school accrediting organization exclaimed to a room of school leaders that if she could, she would send her grandchildren to Bay Ridge Prep. 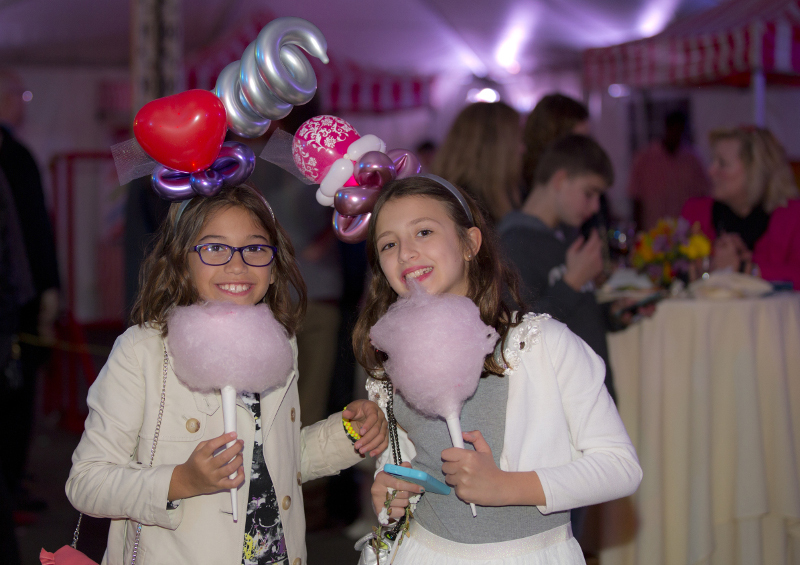 The evening featured a carnival tent with games and other activities while dancing, food and fun for guests of all ages filled the rest of the space. Displayed throughout the evening were art pieces created by K-8 students depicting what students of today think the Bay Ridge Prep of tomorrow will look like. Kindergarten made individual 3D paper project time capsule boxes, containing drawings of some of their favorite things. The students thought about what they would want to remember if they were going to open these boxes in 20 years. First grade made marionettes of their future selves, inspired by what careers they hope to be doing in 20 years. The students also painted an environment background for their aspiring careers, which included: a teacher, a scientist, an astronaut, and an inventor. Second grade looked at artist/illustrator Scott Teplin's "Big School" illustration and drew spaces and classrooms they think we will have in future schools. The Third Grade participated in a writing project. They interviewed their parents about their third grade memories. They also made pictures of what Bay Ridge Prep will look like in 20 years along with a three sentence description for each one. The Fourth Grade drew visions of future school buildings that included personal robots in a cafeteria. The Fifth Grade created posters of their visions of the future, one of which featured built in tablets in tables and virtual reality glasses for every student. 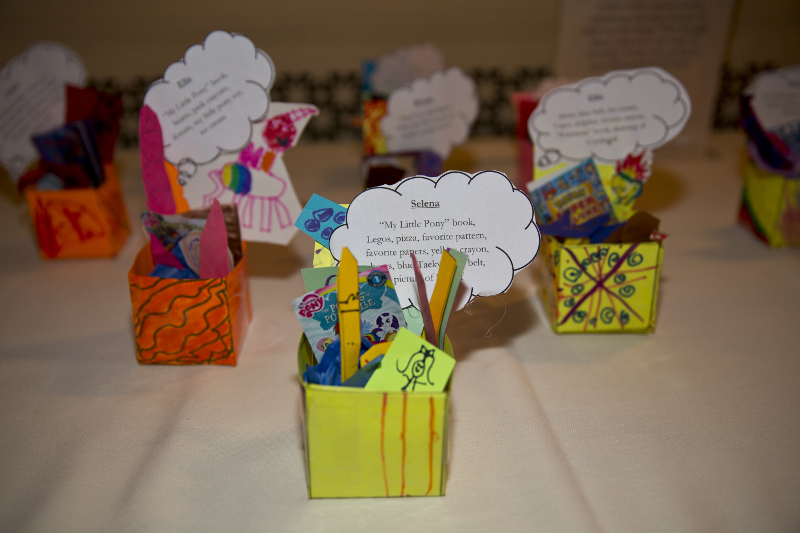 Students in Grades 6-8 wrote poems about what Bay Ridge Prep will be like in 2038 and some submitted comic strips that featured stories about interactions between students and teachers in the future. MORE PHOTOS: View the full 20th Anniversary Photo Gallery here!